If speed is of the essence, then the Canon IR-1750i is the perfect printer for you. At 50ppm, this professional looking all-in-one printer is extremely fast, and with a resolution of 1200dpi, it fails to compromise on quality. If you're after a multi-functional printer that combines print, copy, scan and fax then read on. The Canon IR-1750i isn't the most compact of printers (798 mm × 395 mm × 263 mm), which could be a problem for businesses that are limited on office space. Despite its chunky design, the Canon IR-1750i does come with some sleek features including a 5.7" LCD screen, making it extremely user-friendly - navigating through the various menus is simple and straightforward. The Canon IR-1750i is a powerhouse of a printer – it churns out high quality printouts at a rate of 50ppm! Not only this, but it has a maximum sheet capacity of 2300 sheets – making it ideal for large businesses who print large volumes. In addition to this, it is evident Canon have had the intention to make this model as energy efficient as possible; it is energy star certified and uses as little as 1 watt of energy during sleep mode – ideal if you're looking to not only save on print costs, but want the green credentials too. 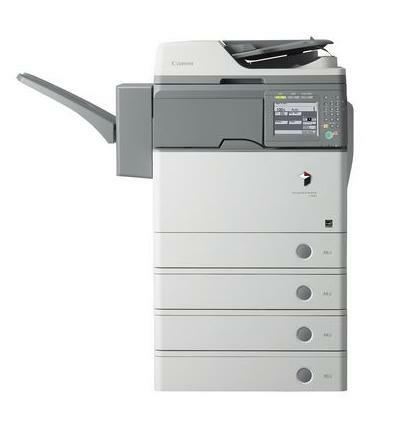 If money is no object and you want a top-end printer then you can't go wrong with the IR-1750i. However, if you're limited on cash, there are printers that are comparable in terms of print quality and speed that don't come with the high price tag.